My name’s Rick and I am a knitter. Sounds like one of those Alcoholics Anonymous confessions, doesn’t it? However, it’s true – I knit and I’m a man. 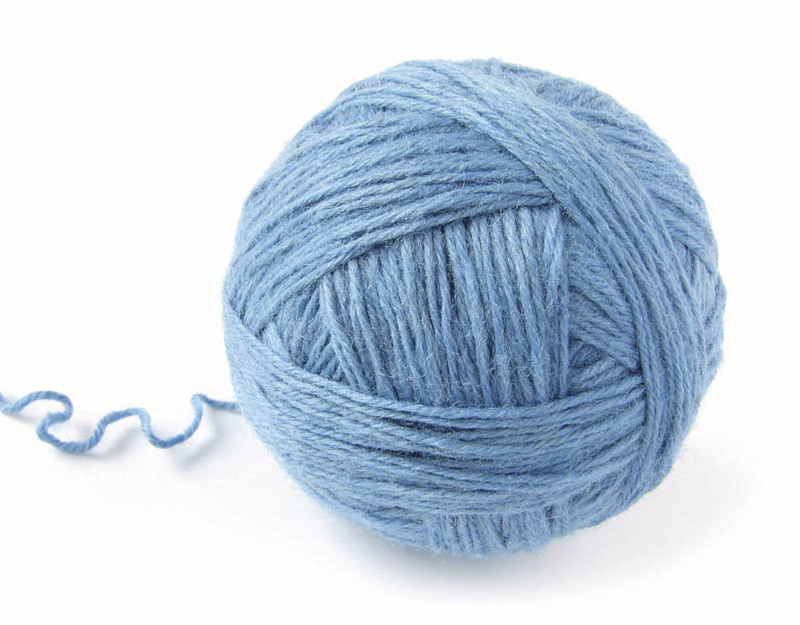 Lawyer by day, knitter by night, I possess both a Y chromosome and knitting needles… and yarn… lots of yarn. Well, if it’s good enough for Russell Crowe, it’s good enough for me – and what about Kaffe Fassett? OK, I’m not in his league, but I’m working on it. My mates know about my guilty secret now, but it took a long time to pluck up the courage to tell them. Even if they do wind me up something awful, they have no objections to wearing all the hats and gloves I make. It certainly makes life easier at birthdays, not to mention keeping us all cosy when we go hillwalking. However, it can make life complicated when I have to try to explain to some woman at a party that I really was admiring the softness of her mohair sweater and not staring down her cleavage! Without the internet I doubt I’d ever come across another bloke like me, but we’re not as rare as you think. 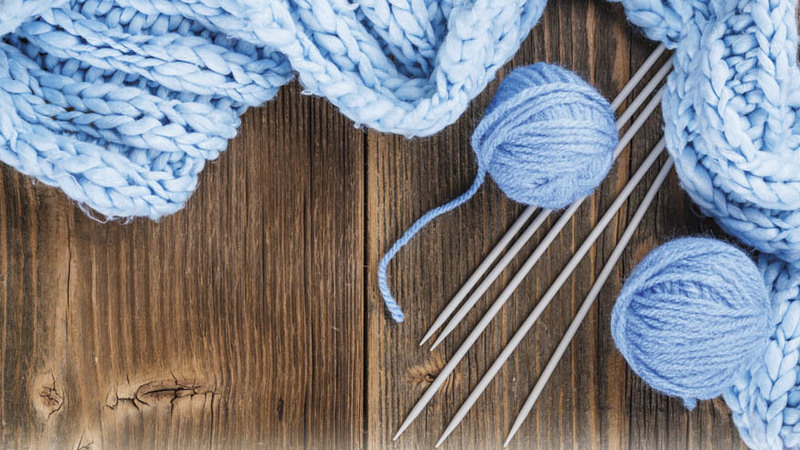 Of course we do tend to have a more male-orientated view of knitting – like wondering how much fun it would be to knit with the garden hose (if only I could make needles big enough), or what would happen if I knit with a thin needle in one hand and a thick needle in the other. Well, I suppose it is sort of like physics, isn’t it? Oh, and I’m also single. In spite of frequenting yarn shops and using my not inconsiderable charms on the lady owners, I never seem to get very far before they give me that “he must be a weirdo” look and start to back away. As for joining a knitting group, you’d think I was a psychopathic stalker the way they look at me. Men might have managed to stake their claim in Mothers and Toddlers groups, but we still have a way to go to gain acceptance in knitting circles. So I stay at home and knit in solitude. I once acquired a shop dummy, which I thought might be a cool way to display my WIPs (works in progress – you see, ladies, I even have the lingo off pat). Trouble was, she was a female dummy and not much good for rugged cabled sweaters for my little brother of the forty-four-inch chest. When I realised I was holding lengthy conversations with Lucy (yes, I named her – that ought to have rung warning bells) I thought perhaps the time had come to find a place for her in the attic. I’d always thought the concept of a lost weekend involved alcohol of some kind, but not me. After manhandling poor Lucy into the roof space, I surfaced two days later (alright, slight exaggeration) with armfuls of stashed yarn I’d forgotten I even had – along with vintage patterns I’d inherited from my gran. By Sunday night my lounge floor was knee-deep in balls of yarn. Pure wool, mohair, and silks… and the colours! Autumnal shades of mustard, brown and purple juxtaposed with zingy lime, subtle beige and sophisticated black and red. I felt like a kid in a sweetie shop! So much yarn, so little time… Monday morning was here again, so I started another work week with my head full of potential new knitting projects. Then I saw the woman of my dreams. She smacked me in the head like a thunderbolt – literally, as it happens. I was walking down the corridor to my office, my head full of four ply and lace weight, when I walked into a pile of box files – or rather, the woman carrying the pile of box files – which scattered all over the floor. She was simply sublime and as soon as I saw her face I knew I just had to swathe her in cashmere and alpaca silk blend for the rest of her life. While picking up the box files and carrying them down the corridor for her, I found out she was the new intern, her name was Susan and it was her birthday next weekend. Brilliant! What could I knit in one week? Nothing too show-off-y, I reasoned, but something designer-y that would set off that sweet heart-shaped face and tumble of glossy dark hair. By Friday I presented Susan with a cosy cowl in chunky cherry-red stitches. Her delight was reward enough for every hour I spent hunched over it, and I poised to move in for the kill with an invitation to try it out on a long weekend walk to a country pub for lunch. Boyfriend? How could I have been so stupid? Of course someone that gorgeous would have been snapped up! Probably a soldier or a personal trainer, someone butch and brawny, who wouldn’t be seen dead anywhere near a knitting needle – even if they do come in handy for unclogging the U-bend under the kitchen sink. Distraught, I spent the next few evenings wallowing in the piles of yarn on my lounge floor as if it was one of those ball pools in kids play centres. I tried to watch manly stuff on TV but my eyes kept wandering to the little stack of vintage patterns on the coffee table. By midweek I was like a demon possessed as I cast on hundreds of stitches in a yarn so fine it was like knitting with cobwebs. It kept my mind occupied so I didn’t languish in self-pity – even if I did spend my days avoiding communal areas of the office in case I saw the delectable Susan. It took almost two months of dedicated slip-one-knit-one-pass-slipped-stitch-over – not to mention all that counting, miscounting, ripping back and re-knitting – but finally it was finished. A beautifully delicate lace shawl in a variegated yarn that drifted through shades of teal and turquoise, like ocean waves, in a yarn so fine and soft it felt like a cloud settling on your shoulders… but what in heaven’s name was I going to do with it? Two weeks later, the answer to that question came out of the blue… the blue room with the coffee machine to be precise. I almost turned on my heel and left when I saw Susan standing there, but something about the slump of her shoulders made me hesitate. “Are you OK?” I asked tentatively, and when she looked up at me with limpid, tear-glistened eyes I had to exercise superhuman willpower not to sweep her into my comforting arms right there and then. The cad! How could he dump her like that – and by text, the lily-livered coward! Well, I had to offer to take her for coffee after work and let her pour her heart out to me, didn’t I? Next day, I brought the shawl, wrapped in green tissue paper with a single cream rose tied on top. Something to cheer you up,” I said. Her tentative smile as she opened the package made my heart melt, but when it spread into the sunniest smile I’d ever seen I thought it was going to burst right out of my chest. “Oh, where did you find such a gorgeous thing?” she cried. Those outrageously beautiful blue eyes grew wide as saucers and I felt light-headed. She opened her luscious lips then closed them again, speechless. I kicked myself internally for blurting it out. What made me think something like that would impress her? What a fool! When she finally spoke, it was my turn to stand there, stupefied and jaw hanging uselessly open. “That’s amazing!” she cried. “You made this? It’s beautiful! I’ve always wanted to learn to knit… oh! Could you teach me?” She looked up at me and fluttered her eyelashes. Her coyly-added “Pleeeease” was completely unnecessary because I was already hopelessly lost forevermore. Almost a year to the day later, Susan is making good progress. She’s learned knit and purl, and graduated from plain scarves to simple patterns. We regularly snuggle up in the evenings to knit together and she loves the colours and textures of yarn just as much as I do. One evening I was contemplating how it’s amazing what can bring two people together, when she pointed to the new pattern she was trying out for the first time. “What does this mean?” she said pointing to K2tog. “Knit two together,” I replied. So how do I knit two together?” she asked with a frown. “Let me show you,” I said, and I leaned forward and kissed her.